One of the questions that I hear the most concerning castration is; when should I castrate my calves Doc? Many producers will castrate their calves when they are two or three days old, which is my preferred period. Castration should occur when the calf is rather young. 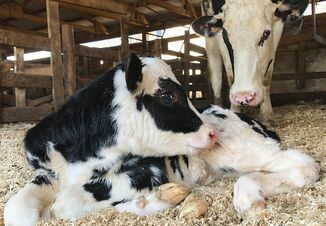 The older the calf, the more likely that calf will suffer a setback (which cost the producer money). In addition, larger calves are more difficult to handle and restrain for the procedure. The latest castration should be done is one month prior to weaning to avoid any extra stress from the weaning process. Bull calves castrated at or following weaning can retain a stag like appearance and attitude that the feedlot operator discounts. Purebred operators can still castrate bull calves that are culls and still realize some profit. The choice of castration method is the preference of the operator, age and weight of the calf, and the time of year performing the procedure. In all techniques, sanitize the hands and castration instruments between each calf to prevent the spread and/or introduction of disease. There are three methods of castration, which range from bloodless to surgical removal of the testicles. In each case, there are advantages and disadvantages of each various procedure. The burdizzo is a bloodless method of castration. Some producers refer to this as “pinching a calf”. This method shuts off the blood supply to the testicle and causes the reabsorption of the testicle to be if properly done. For best results, perform this procedure when the bull calf is standing and restrained with a tail hold. Prior to starting, make sure the burdizzo closes or clamps down properly. Then use the instrument to crush each cord individually. As the calf is restrained place, a cord to the outside of the scrotum wall and clamp about midway between the testicle and the scrotum- belly wall junction. Hold the burdizzo with one hand on the far handle and the other handle against ones knee. With the free hand check to see that the cord has not slipped out and be sure not clamp part of the inner quarter of the calf or the tail. Close the burdizzo and hold for approximately 30 - 45 seconds. Then clamp the other cord using a gap of uncrushed scrotum and prevent it from falling off. The result of this method can easily be clamped bulls that actually are stags. This can be due to improper technique or equipment (a sprung burdizzo). Another bloodless method is the elastrators method. Many producers that castrate at an early age use this method. Elastrators also shuts off the blood supply to the testicle and causes the scrotum to fall off (10 to 14 days). To use the elastrators, restrain the calf, expand or stretch the elastrator band and place both testicles through the band. Then release the band from the elastrator and around the scrotum. This method has the danger of clostridial infections and tetanus. Make sure to add a tetanus toxoid vaccine in older calves prior to and at banding. Elastrator bands can break and castration may not occur. Always insure that both testicles are below the band! A testicle retained in the belly cavity results in a stag. This is the technique of choice. This technique does involve a knife or scalpel and is NOT bloodless. On one or two day-old calves, one person can restrain the calf and perform the procedure. Tie both rear legs and at least one of the front legs securely. With the knife or scalpel remove the bottom third of the scrotum. This will allow proper drainage. Press the testicles through the removed/opened portion of the scrotum one at a time. Then pull downward on the testicle towards the calf’s hocks until the blood vessels stretch and break. If a portion of the spermatic cord remains, cut with a knife or scalpel as high up the cord as possible. Once removed, apply an antiseptic that is effective, yet, not irritating. Try to perform the procedure outside the fly season. If done during the fly season, use some type of repellant to keep insects away from the opened tissue. On larger calves, use an emasculator to minimize the amount of bleeding by crushing the cord above the severed cord. There is blood with this procedure. It is preferred to remove the lower third of the scrotum as to vertical incisions as drainage from the lower scrotum can be hindered and cause infections. If possible, avoid surgical castration at the height of fly and insect season. 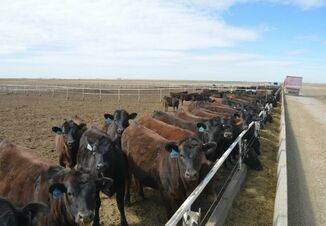 Castration is a very important economic manage technique that needs to be performed for increased returns to the beef operation. The technique used will vary from operator to operator. The important factor to remember in each technique is that the job be done as early as possible to minimize stress and it must be done correctly. Sloppy castration means lower profits. Several Extension publications describe the economic benefits of early castration. If you have any questions concerning castration, please contact your local veterinarian, or Extension agent, or myself at lstrick5@utk.edu, or 865-974-3538. Will Trump Reinstate COOL Regs?